Running (participated in four half marathons in Copenhagen). Received the medal “Marin Drinov” on ribbon from the Bulgarian Academy of Science for achievements in the areas of Numerical Analysis, Scientific Computing, Environmental Modelling and Influence of Climate Changes on Pollution Levels as well as for a successful collaboration with Bulgarian scientists. Biographical data about Zahari Zlatev can be found in several directories; see, for example, "Who is who in the world", XXVI edition (Marquis Who’s Who, 890 Mountain Suite 300, New Providence, NJ 07974, USA, 2009; www.marquiswhoswho.com/ ) . AOT40 Ozone Levels in Europe. High AOT40 levels are harmful for crops. In the light green areas, the pollution levels are under the critical value of 3000 ppb.hours). In the dark green areas the critical level is exceeded up to two times. In the yellow areas the critical level is exceeded from two to three times. In the orange areas the critical level is exceeded from three to four times. In the most polluted areas of Europe, the red areas, the critical level is exceeded by more than four times. The results are obtained by running the Danish Eulerian Model (DEM), discretized on a (96x96) grid, i.e. by using (50 km x 50 km) grid-squares, over a space domain covering the whole of Europe together with parts of Africa, Asia and the Atlantic Ocean. A member of the organizing committee of international conferences: many times. The activities in the last two paragraphs are also discussed in "Phd students and foreign guests"
1. Z. Zlatev: "Error bounds in the numerical solution of ordinary differential equations by Nyström's method". Faculty of Mathematics and Mechanics, University of Sct. Petersburg, Sct. Petersburg, Russia, 1969 (in Russian). 1. Z. Zlatev: "Computational methods for general sparse matrices". KLUWER Academic Publishers, Dordrecht-Boston-London, 1991. 2. Z. Zlatev: "Computer treatment of large air pollution models". KLUWER Academic Publishers, Dordrecht-Boston-London, 1995. 3. Z. Zlatev and I. Dimov: "Computational and Numerical Challenges in Environmental Modelling". Elsevier, Amsterdam-Boston-Heidelberg-London-New York-Oxford-Paris-San Diego-San Francisco-Singapore-Sydney-Tokyo, 2006. 4. Z. Zlatev, I. Dimov, I. Faragó and Á. Havasi: “Richardson Extrapolation: Practical Aspects and Applications”, Series in Applied and Numerical Mathematics, No. 2, De Gruyter, Berlin, 1918. 5. Z. Zlatev, J. Wasniewski and K. Schaumburg:"Y12M - solution of large and sparse systems of linear algebraic equations". Springer-Verlag, Berlin-Heidelberg-New York, 1981. 6. O. Østerby and Z. Zlatev:"Direct methods for sparse matrices". Springer-Verlag, Berlin-Heidelberg-New York, 1983. 7. O. Østerby and Z. Zlatev:"Direktnye metody dlja razredenych matrizach". MIR Publishers, Moscow, 1987 (in Russian). 1. I. Dimov, I. Lirkov, S. Margenov and Z. Zlatev, eds. : "Numerical Methods and Applications”. Lecture Notes in Computer Science No. 2542, Springer-Verlag, Berlin, 2003. 2. I. Faragó. Á. Havasi and Z. Zlatev, eds. : “Advanced Numerical Methods for Complex Environmental Models: Needs and Availability”, Bentham Books, 2013. 3. G. Geernaert, A. Walløe Hansen and Z. Zlatev, eds. : "Regional Modelling of Air Pollution in Europe". Proceedings of the First REMAPE Meeting (September 26-27, 1996, Copenhagen). National Environmental Research Institute, Roskilde, Denmark, 1997. 4. O. Hertel, Z. Zlatev, S. Larsen and T. Mikkelsen, eds. : "Modelling Physical and Chemical Processes in the Atmosphere". Proceedings of the Risø -NERI Workshop (March, 12-13, 1999, Roskilde). National Environmental Research Institute, Roskilde, Denmark, 1999. 5. Z. Zlatev, J. Brandt, P. J. H. Builtjes, G. Carmichael, I. Dimov, J. Dongarra, H. van Dop, K. Georgiev, H. Hass and R. San Jose, eds. : "Large Scale Computations in Air Pollution Modelling". KLUWER Academic Publishers, Dordrecht-Boston-London, 1999. 6. Z. Zlatev, J. Brandt and G. Geernaert, eds. :"Large Scale Air Pollution Models". MCB University Press, Bradford, England, 1999. 1. S. S. Abdalmogith, R. M. Harrison and Z. Zlatev: "Intercomparison of secondary inorganic aerosol concentrations in the UK with predictions of the Unified Danish Eulerian Model". Journal of Atmospheric Chemistry, Vol. 54 (2006), 43-66. 2. V. Alexandrov, W. Owczarz, P. G. Thomsen and Z. Zlatev: "Parallel runs of a large air pollution model of a grid of SUN computers". Mathematics and Computers in Simulation, Vol. 65 (2004), 557-577. 3. V. Alexandrov, A. Sameh, Y. Siddique and Z. Zlatev: "Numerical integration of chemical ODE problems arising in air pollution models". Environmental Modelling and Assessment, Vol. 2 (1997), 365-377. 4. C. Ambelas Skjøth, A. Bastrup-Birk, J. Brandt and Z. Zlatev: "Studying variations of pollution levels in a given region of Europe during a long time-period". Systems Analysis Modelling Simulation, Vol. 37 (2000), 297-311. 5. A. Bastrup-Birk, J. Brandt, I. Uria and Z. Zlatev: "Studying cumulative ozone exposures in Europe during a seven-year period". Journal of Geophysical Research, Vol. 102 (1997), 23917-23935. 6. A. Bastrup-Birk, J. Brandt and Z. Zlatev: "Using partitioned ODE solvers in large air pollution models". Systems Analysis Modelling Simulation, Vol. 32 (1998), 3-17. 7. C. Bendtsen, P. C. Hansen, J. Wasniewski, J. B. Hansen, J. N. Sørensen and Z. Zlatev: "Experience with the KSR-1 parallel computer". Supercomputer, Vol. 10, No. 6 (1994), 34-43. 8. Å. Björck and Z. Zlatev: "Exploiting the separability in the solution of linear ordinary differential equations". Computers and Mathematics with Applications, Vol. 18 (1989), 421-438. 9. J. Brandt, A. Bastrup-Birk, J. H. Christensen, T. Mikkelsen, S. Thykier-Nielsen and Z. Zlatev: "Testing the importance of accurfate meteorological input fields and parameterizations in atmospheric transport modelling, using DREAM - validation against ETEX-1". Atmospheric Environment, Vol. 32 (1998), 4167-4186. 10. J. Brandt, J. H. Christensen, L. M. Frohn, F. Palmgren, R. Berkowicz and Z. Zlatev: "Operational air pollution forecasts from European to local scale". Atmospheric Environment, Vol. 35 (2001), S91-S98. 11. J. Brandt, J. H. Christensen, L. M. Frohn and Z. Zlatev: "Numerical modelling of transport, dispersion and deposition - Validation against ETEX-1, ETEX-2 and Chernobyl". Environmental Modelling and Software, Vol. 15 (2000), 521-531. 12. J. Brandt, J. H. Christensen, L. M. Frohn and Z. Zlatev: "Operational air pollution forecast modelling by using the THOR system". Physics and Chemistry of the Earth, Vol. 26 (2001), 117-122. 13. J. Brandt, J. H. Christensen and Z. Zlatev: "Real time predictions of transport, dispersion and deposition from nuclear accidents". Environmental Management and Health, Vol. 10 (1999), 216-223. 14. J. Brandt, T. Mikkelsen, S. Thykier-Nielsen and Z. Zlatev: "Using a combination of two models in tracer simulations". Mathematical and Computer Modelling, Vol. 23, No. 10 (1996), 99-115. 15. J. Brandt, T. Mikkelsen, S. Thykier-Nielsen and Z. Zlatev: "The Danish RIMPUFF and Eulerian accidental release model (the DREAM)". Physics and Chemistry of the Earth, Vol. 21, No. 5-6 (1997), 441-444. 16. J. Brandt, J. Wasniewski and Z. Zlatev: "Handling the chemical part of large air pollution models". Mathematical and Computer Science, Vol. 6, No. 2, (1996), 331-351. 17. J. Brown, P. C. Hansen, J. Wasniewski and Z. Zlatev: "Comparing the performance of SIMD computers by running large air pollution models". Supercomputer, Vol. 64 (1996), 21-35. 18. J. Brown, P. C. Hansen, J. Wasniewski and Z. Zlatev: "Performance of air pollution models on massively parallel computers". Control and Cybernetics, Vol. 25, No. 5 (1996), 1113-1130. 19. J. Brown, J. Wasniewski and Z. Zlatev: "Running air pollution models on massively parallel machines". Parallel Computing, Vol. 21 (1995), 971-991. 20. J. Brown, J. Wasniewski and Z. Zlatev: "Running air pollution models on massively parallel machines". Parallel Computing, Vol. 21 (1995), 971-991. 21. H. Chervenkov, I. Dimov and Z. Zlatev: "Spline interpolation for modelling of accumulated effects of ozone". International Journal of Environment and Pollution, Vol.54, No. 1 (2016), 15-31. 22. A. T. Chronopoulos and Z. Zlatev: "Iterative methods for non-linear operator equations". Applied Mathematics and Computation, Vol. 51 (1992), 167-180. 23. I. Dimov, J. Dongarra, K. Madsen, J. Wasniewski and Z. Zlatev: “Special Section: Applications of distributed and grid computing”. Future Generation Computer Systems, Vol. 24, No. 6 (2008), 582-584. 24. I. Dimov, I. Farago, Á. Havasi and Z. Zlatev: “L-commutativity of the operators in splitting methods for air pollution models”. Annales Univ. Sci. Budapest, Vol. 44 (2001), 127-148. 25. I. Dimov, I. Farago, Á. Havasi and Z. Zlatev: “Operator splitting and commutativity analysis for the Danish Eulerian Model”. Mathematics and Computers in Simulation, Vol. 67 (2004), 217-233. 26. I. Dimov, I. Farago, A. Havasi and Z. Zlatev: “Different splitting techniques with application to air pollution models”. International Journal of Environment and Pollution, Vol. 32, No. 2 (2008), 174-199. 27. I. Dimov, I. Farago and Z. Zlatev: “Parallel computations with large-scale air pollution models”. Problems in Programming, Vol. 5, No. 3 (2003), pp. 44-52. 28. I. Dimov, G. Geernaert and Z. Zlatev: “Impact of future climate changes on high pollution levels”. International Journal of Environment and Pollution, Vol. 32, No. 2 (2008), 200-230. 29. I. Dimov, K. Georgiev, Tz. Ostromsky and Z. Zlatev: “Computational challenges in the numerical treatment of large air pollution models”. Ecological Modelling, Vol. 179 (2004), 187-203. 30. I. Dimov, R. Georgieva, S. Ivanovska, Tz. Ostromsky and Z. Zlatev: “Studying sensitivity of pollutants concentrations caused by variations of chemical rates”. Journal of Computational and Applied Mathematics, Vol. 235 (2010), 391-402. 31. I. Dimov, R. Georgieva, Tz. Ostromsky and Z. Zlatev: "Advanced algorithms for multidimensional sensitivity studies of large air pollution models based on Sobol sequences ", Computers and Mathematics with Applications, Vol. 65, Number 3 (2013), pp. 338-351. 32. I. Dimov, R. Georgieva, Tz. Ostromsky and Z. Zlatev: "Sensitivity studies of pollutant concentrations calculated by UNI-DEM with respect to input emissions", Central European Journal of Mathematics, Vol. 11, Number 8 (2013), pp. 1531-1545 (DOI: 10.2478/s11533-013-0256-2). 33. I. Dimov, Tz. Ostromsky, I. Tzvetanov and Z. Zlatev: "Economical estimations of the losses of crops due to high ozone levels". Agricultural Economics and Management Vol. 5 (1999), 48-52. 34. A. C. N. van Duin, P. C. Hansen, Tz. Ostromsky, H. Wijshoff and Z. Zlatev: "Improving the numerical stability and the performance of a parallel sparse solver". Computers and Mathematics with Applications, Vol. 30, No. 12 (1995), 81-96. 35. I. Faragó, K. Georgiev, Á. Havasi and Z. Zlatev: "Efficient Numerical Methods for Scientific Applications: Introduction", Computers and Mathematics with Applications, Vol. 65, Number 2 (2013), pp. 297-300. 36. I. Faragó, K. Georgiev, Á. Havasi and Z. Zlatev: "Efficient algorithms for large scale scientific problems", Computers and Mathematics with Applications, Vol. 67, No. 12 (2014), pp. 2085-2087. 37. I. Faragó, K. Georgiev, P. G. Thomsen and Z. Zlatev: “Preface: Numerical and computational issues related to applied mathematical modelling”. Applied Mathematical Modelling, Vol. 32, No. 8 (2008), 1475-1476. 38. I. Faragó, A. Havasi, S. Margenov and Z. Zlatev: “Special issue on advanced computational algorithms: Introduction”, Journal of Computational and Applied Mathematics, Vol. 235, No. 2 (2010), 345-347. 39. I. Faragó, A. Havasi and Z. Zlatev: “Advanced splitting techniques and their application: Preface”, International Journal of Computational Science and Engineering, Vol. 3, No. 4 (2007), 243-244. 40. I. Farago, A. Havasi and Z. Zlatev: “Special issue on advanced numerical algorithms for large scale computations: Introduction”, Computers and Mathematics with Applications, Vol. 55, No. 10 (2008), 2183-2184. 41. I. Faragó, Á. Havasi and Z. Zlatev: “Richardson-extrapolated sequential splitting and its application”, Journal of Computational and Applied Mathematics, Vol. 226, No. 2 (2009), 218-227. 42. I. Faragó, Á. Havasi and Z. Zlatev: “Efficient Implementation of Stable Richardson Extrapolation Algorithms”, Computers and Mathematics with Applications, Vol. 60, No. 8 (2010), 2309-2325. 43. I. Faragó, Á. Havasi and Z. Zlatev: "The convergence of diagonally implicit Runge-Kutta method with Richardson Extrapolation", Computers and Mathematics with Applications, Vol. 65, No. 3 (2013), pp. 395-401. 44. I. Faragó, Á. Havasi and Z. Zlatev: "Richardson Extrapolation combined with the sequential splitting procedure and the θ-method", Central European Journal of Mathematics, Vol. 10, (2012), 159-172. 45. K. Gallivan, P. C. Hansen, Tz. Ostromsky and Z. Zlatev: "Locally optimized reordering algorithm and its application to a parallel sparse linear system solver". Computing, Vol. 54, No. 1 (1995), 39-67. 47. K. Gallivan, A. Sameh and Z. Zlatev: "A parallel hybrid sparse linear system solver". Computing Systems in Engineering, Vol. 1 (1990), 183-195. 48. K. Ganev, D. Syrakov and Z. Zlatev: "New parametarization scheme for effective indices from road transport". Ecological Modelling, Vol. 217 (2008), 270-278. 49. G. Geernaert and Z. Zlatev: "Studying the influence of biogenic emissions on AOT40 levels in Europe". International Journal of Environment and Pollution, Vol. 22, No. 1-2 (2004), 29-42. 50. K. Georgiev and Z. Zlatev: "Parallel Sparse Matrix Algorithms for Air Pollution Models". Parallel and Distributed Computing Practices, Vol. 2, No. 4 (1999), 429-443. 51. K. Georgiev and Z. Zlatev: "Implementation of sparse matrix algorithms in an advection-diffusion-chemistry module". Journal of Computational and Applied Mathematics, Vol. 236, (2011), 342-353. 52. K. Georgiev and Z. Zlatev: "Advanced applications of environmental modelling systems: Editorial". International Journal of Environment and Pollution, Vol. 46, No. 1-2 (2011), 1-5. 53. K. Georgiev, Z. Zlatev and A. Ebel: "Studying air pollution levels in the Balkan Peninsula area by using an IBM Blue Gene/P computer". International Journal of Environment and Pollution, Vol. 46, No. 1-2 (2011), 97-114. 54. R. M. Harrison, Z. Zlatev and C. J. Ottley: "A comparison of the predictions of an Eulerian atmospheric transport chemistry model with experimental measurements over the North Sea". Atmospheric Environment, Vol. 28 (1994), 497-516. 55. P. C. Hansen, Tz. Ostromsky, A. Sameh and Z. Zlatev: "Solving sparse linear least-squares problems on some supercomputers by using large dense blocks". BIT, Vol. 37, No. 3 (1997), 535-558. 56. Á. Havasi, L. Bozó and Z. Zlatev: "Model simulation on transboundary contribution to the atmospheric sulfur concentration and deposition in Hungary", Időjárás, Vol. 105 (2001), 135-144. 57. Á. Havasi and Z. Zlatev: "Trends in Hungarian air pollution levels on a long time-scale". Atmospheric Environment, Vol. 36 (2002), 4145-4156. 58. Ø. Hov, Z. Zlatev, R. Berkowicz, A. Eliassen and L. P. Prahm: "Comparison of numerical techniques for use in air pollution models with nonlinear chemical reactions". Atmospheric Environment, Vol. 23 (1989), 967-983. 59. S. S. Jensen, R. Berkowicz, M. Winther, Z. Zlatev and F. Palmgren: ”Future air quality in Danish cities due to new emission and fuel quality directives of the European Union”. International Journal of Vehicle Design, Vol. 27 (2001), 195-208. 60. Tz. Ostromsky, V. Alexandrov, I. Dimov and Z. Zlatev: "On the performance, scalability and sensitivity analysis of a large air pollution model ". Procedia Computer Science, Vol.80 (2016), 2053-2061. 61. Tz. Ostromsky. I. Dimov, V. Alexandrov and Z. Zlatev: "Preparing input data for sensitivity analysis of an air pollution model by using high performance computers and algorithms", Computers and Mathematics with Applications, Vol. 70 (2015), 2773-2782. 62. Tz. Ostromsky, I. Dimov, R. Georgieva and Z. Zlatev: "Air pollution modelling, sensitivity analysis and parallel implementation ". International Journal of Environment and Pollution, Vol. 46, No. 1-2 (2011), 83-96. 63. Tz. Ostromsky, P. C. Hansen and Z. Zlatev: "A coarse-grain parallel QR-factorization algorithm for sparse matrices". Parallel Computing, Vol. 24 (1998), 937-964. 64. W. Owczarz and Z. Zlatev: "Running a large air pollution model on an IBM SMP computer". International Journal of Computer Research, Vol. 10, No. 4 (2001), 485-500. 65. W. Owczarz and Z. Zlatev: "Parallel matrix computations in air pollution modelling". Parallel Computing, Vol. 28 (2002), 355-368. 66. K. Schaumburg, J. Wasniewski and Z. Zlatev: "Solution of ordinary differential equations with time-dependent coefficients. Development of a semiexplicit Runge-Kutta algorithm and application to a spectroscopic problem". Computers and Chemistry, Vol. 3 (1979), 56-63. 67. K. Schaumburg, J. Wasniewski and Z. Zlatev: "The use of sparse matrix technique in the numerical integration of stiff systems of ordinary differential equations". Computers and Chemistry, Vol. 4 (1980), 1-12. 68. P. G. Thomsen and Z. Zlatev: "Two-parameter families of predictor-corrector methods for the solution of ordinary differential equations". BIT, Vol. 19 (1979), 503-517. 69. P. G. Thomsen and Z. Zlatev: "Development of a data assimilation algorithm". Computers and Mathematics with Applications, Vol. 55, No. 10 (2008), 2381-2393. 70. J. Wasniewski, J. Dongarra, K. Madsen, S. Toledo and Z. Zlatev: “Editorial introduction to the special issue on computational linear algebra and sparse computations”. Applicable Algebra in Engineering, Communications and Computing, Vol. 18, No. 3, (2007), 205-207. 71. J. Wasniewski, K. Schaumburg and Z. Zlatev: "Vectorizing codes for solving systems of linear ODE's". Supercomputer, Vol. 18 (1987), 40-51. 72. J. Wasniewski, Z. Zlatev and K. Schaumburg: "A method for reduction of the storage requirements by the use of some special computer facilities; application to linear systems of algebraic equations". Computers and Chemistry, Vol. 6 (1982), 181-192. 73. Z. Zlatev: "Stability properties of variable stepsize variable formula methods". Numerische Mathematik, Vol. 31 (1978), 175-182. 74. Z. Zlatev: "On some pivotal strategies in Gaussian elimination by sparse technique". SIAM Journal on Numerical Analysis, Vol. 17 (1980), 18-30. 75. Z. Zlatev: "Zero-stability properties of three-ordinate variable stepsize variable formula methods". Numerische Mathematik, Vol. 37 (1981), 157-166. 76. Z. Zlatev: "Modified diagonally implicit Runge-Kutta methods". SIAM Journal on Scientific and Statistic Computing, Vol. 2 (1981), 321-334. 77. Z. Zlatev: "Comparison of two pivotal strategies in sparse plane rotations". Computers and Mathematics with Applications, Vol. 8 (1982), 119-135. 78. Z. Zlatev: "Use of iterative refinement in the solution of large and sparse systems". SIAM Journal on Numerical Analysis, Vol. 19 (1982), 381-399. 79. Z. Zlatev: "Consistency and convergence of general multistep variable stepsize variable formula methods". Computing, Vol. 31 (1983), 47-67. 80. Z. Zlatev: "Application of predictor-corrector schemes with several correctors in solving air pollution problems". BIT, Vol. 24 (1984), 700-715. 81. Z. Zlatev: "General scheme for solving linear algebraic problems by direct methods". Applied Numerical Mathematics, Vol. 1 (1985), 177-186. 82. Z. Zlatev: "Mathematical model for studying the sulphur pollution in Europe". Journal of Computational and Applied Mathematics, Vol. 12 (1985), 651-666. 83. Z. Zlatev: "Variable stepsize variable formula methods based on predictor-corrector schemes". Applied Numerical Mathematics, Vol. 1 (1985), 223-233. 84. Z. Zlatev: "Survey of the advances of exploiting the sparsity in the solution of large problems". Journal of Computational and Applied Mathematics, Vol. 20 (1987), 83-105. 85. Z. Zlatev: "Treatment of some mathematical models describing long-range transport of air pollutants on vector processors". Parallel Computing, Vol. 6 (1988), 87-98. 86. Z. Zlatev: "Advances in the theory of variable stepsize variable formula methods for ordinary differential equations". Applied Mathematics and Computation, Vol. 31 (1989), 209-249. 87. Z. Zlatev: "Running large air pollution models on high speed computers". Mathematical and Computer Modelling, Vol. 14 (1991), 737-740. 88. Z. Zlatev: "Modelling long-range transport of air pollution". Computational Fluid Dynamics News, Vol. 3 (1992), 4-17. 89. Z. Zlatev: "Parallel algorithms for the chemical part of large air pollution models”. Mathematical Modelling, Vol. 13, No. 3 (2001), 22-32. 90. Z. Zlatev: "Partitioning ODE systems with an application to air pollution models”. Computers and Mathematics with Applications, Vol. 42 (2001), 817-832. 91. Z. Zlatev: “Computer Treatment of Partial Differential Equations in Environmental Modelling”. Mathematica Balkanica (New Series), Vol. 20 (2006), 101-124. 92. Z. Zlatev: “Impact of Climate Changes in Europe on European Pollution Levels”. Problems in Programming, Vol. 8 (2006), 659-663. 93. Z. Zlatev: “Impact of future climate changes on high ozone levels in European suburban areas”, Climatic Change, Vol. 101 (2010), No. 3-4, 447-483. 94. Z. Zlatev and R. Berkowicz: "Numerical treatment of large-scale air pollution models". Computers and Mathematics with Applications, Vol. 16 (1988), 93-109. 95. Z. Zlatev, R. Berkowicz and L. P. Prahm: "Testing subroutines solving advection-diffusion problems in atmospheric environments". Computers and Fluids, Vol. 11 (1983), 13-38. 96. Z. Zlatev, R. Berkowicz and L. P. Prahm: "Stability restrictions on time-stepsize for numerical methods for first-order partial differential equations". Journal of Computational Physics, Vol. 51 (1983), 1-27. 97. Z. Zlatev, R. Berkowicz and L. P. Prahm: "Three-dimensional advection-diffusion modelling for regional scale". Atmospheric Environment, Vol. 17 (1983), 491-499. 98. Z. Zlatev, R. Berkowicz and L. P. Prahm: "Implementation of a variable stepsize variable formula method in the time-integration part of a code for treatment of long-range transport of air pollution". Journal of Computational Physics, Vol. 55 (1984), 278-301. 99. Z. Zlatev and J. Brandt: “Testing the accuracy of a data assimilation algorithm”, International Journal of Computational Science and Engineering, Vol. 3, No. 4 (2007), 305-314. 100. Z. Zlatev, J. Brandt and G. Geernaert: "Editorial”. Environmental Management and Health, Vol. 10 (1999), 198-200. 101. Z. Zlatev, J. Christensen and A. Eliassen: "Studying high ozone concentrations by using the Danish Eulerian model". Atmospheric Environment, Vol. 27A (1993), 845-865. 102. Z. Zlatev, J. Christensen and Ø. Hov: "A Eulerian air pollution model for Europe with non-linear chemistry". Journal of Atmospheric Chemistry, Vol. 15 (1992), 1-37. 103. Z. Zlatev, J. Christensen, J. Moth and J. Wasniewski: "Vectorizing codes for studying long-range transport of air pollutants". Mathematical and Computer Modelling, Vol. 15 (1991), 37-48. 104. Z. Zlatev, P. D’Ambra, I. Faragó and I. Fekete: "Numerical Methods for Advanced Scientific Models-Introductory paper", Journal of Computational and Applied Mathematics, Vol. 340 (2018), 421-423. 105. Z. Zlatev, I. Dimov, I. Faragó, K. Georgiev and Á. Havasi: "Stability of the Richardson Extrapolation combined with some implicit Runge-Kutta methods", Computers and Mathematics with Applications, available on-line, 2016. 106. Z. Zlatev, I. Dimov, I. Faragó, K. Georgiev and Á. Havasi: "Stability of the Richardson Extrapolation combined with some Implicit Runge-Kutta Methods", Journal of Computational and Applied Mathematics, Vol. 310 (2017), 224-240. 107. Z. Zlatev, I. Dimov, I. Faragó, K. Georgiev and Á. Havasi: “Advanced algorithms for studying the impact of climate changes on ozone levels in the atmosphere”, International Journal of Environment and Pollution, (2019) (accepted for publication). 108. Z. Zlatev, I. Dimov, I. Faragó, K. Georgiev, Á. Havasi and Tz. Ostromsky: "Application of Richardson Extrapolation for multi-dimensional advection equations", Computers and Mathematics with Applications, Vol. 67, No. 12 (2014), pp, 2279-2293. 109. Z. Zlatev, I. Dimov, I. Faragó, K. Georgiev, Á. Havasi and Tz. Ostromsky: "Solving advection equations by applying the Crank-Nicolson scheme combined with the Richardson Extrapolation", International Journal of Differential Equations, DOI:10.1155/2011/530840, (2011). 110. Z. Zlatev, I. Dimov and K. Georgiev: "Studying long-range transport of air pollutants". Computational Science and Engineering, Vol. 1, No. 3 (1994), 45-52. 111. Z. Zlatev, I. Dimov and K. Georgiev: "Relations between climatic changes and high pollution levels in Bulgaria", Open Journal on Applied Sciences, Vol. 6 (2016), 386-401. 112. Z. Zlatev, I. Dimov and K. Georgiev: "Three-dimensional version of the Danish Eulerian Model". Zeitschrift für Angewandte Mathematik und Mechanik, Vol. 76 (1996) S4, 473-476. 113. Z. Zlatev, I. Dimov, K. Georgiev and S. Margenov: "Numerical Algorithms for Scientific and Engineering Applications", Journal of Computational and Applied Mathematics, Vol. 310 (2017), 1-4. 114. Z. Zlatev, I. Dimov and I. Lirkov: "Efficient numerical methods for large-scale scientific computations". Journal of Computational and Applied Mathematics, Vol. 293, Issue C (2016), 1-6. 115. Z. Zlatev, I. Dimov, Tz. Ostromsky, G. Geernaert, I. Tzvetanov and A. Bastrup-Birk: "Calculating losses of crops in Denmark caused by high ozone levels". Environmental Modelling and Assessment, Vol. 6 (2001), 35-55. 116. Z. Zlatev, A. Ebel and K. Georgiev: “Preface”, International Journal of Environment and Pollution, Vol. 22, No. 1-2 (2004), 1-2. 117. Z. Zlatev, A. Ebel and K. Georgiev: “Editorial: Large-scale computations in environmental modelling”, International Journal of Environment and Pollution, Vol. 32, No. 2 (2008), 135-138. 118. Z. Zlatev, A. Ebel, K. Georgiev and R. San José: “Large-scale computations in environmental modelling: Editorial introduction”, Ecological Modelling, Vol. 217, No. 3-4 (2008), 207-208. 119. Z. Zlatev, I. Faragó and P. Simon: “Large scale scientific computations: Editorial introduction”, Journal of Computational and Applied Mathematics, Vol. 226, No. 2 (2009), 187-189. 120. Z. Zlatev, I. Faragó and Á. Havasi: “Stability of the Richardson Extrapolation applied together with the -method”, Journal of Computational and Applied Mathematics, Vol. 235, No. 2 (2010), 507-520. 121. Z. Zlatev, J. Fenger and L. Mortensen: "Relationships between emission sources and excess ozone concentrations". Computers and Mathematics with Applications, Vol. 32, No. 11 (1996), 101-123. 122. Z. Zlatev, G. Geernaert and H. Skov: "A study of ozone critical levels in Denmark", EUROSAP Newsletter, Vol. 36, (1999), 1-9. 123. Z. Zlatev and K. Georgiev: "Applying approximate LU-factorizations as preconditioners in eight iterative methods for solving systems of linear algebraic equations", Central European Journal of Mathematics, Vol. 11, Number 8 (2013), pp. 1510-1530 (DOI: 10.2478/s11533-013-0248-2). 124. Z. Zlatev, K. Georgiev and I. Dimov: "Influence of climatic changes on pollution levels in the Balkan Peninsula", Computers and Mathematics with Applications, Vol. 65, Number 3 (2013), pp. 544-562. 125. Z. Zlatev, K. Georgiev and I. Dimov: "Studying absolute stability properties of the Richardson Extrapolation combined with explicit Runge-Kutta methods", Computers and Mathematics with Applications, http://dx.doi.org/10.1016/j.camwa.201402.025, Vol.67, No. 12, 2014, pp. 2294-2307. 126. Z. Zlatev, Á. Havasi and I. Faragó: "Influence of climatic changes on pollution levels in Hungary and surrounding countries ", Atmosphere, Vol. 2, (2011), 201-221. 127. Z. Zlatev and L. Moseholm: “Impact of climatic changes on pollution levels in Denmark”, Ecological Modelling, Vol. 217 (2008), 305-319. 128. Z. Zlatev and H. B. Nielsen: "Solving large and sparse linear least squares problems by conjugate gradients algorithms". Computers and Mathematics with Applications, Vol. 15 (1988), 185-202. 129. Z. Zlatev, K. Schaumburg and J. Wasniewski: "Classification of the systems of ordinary differential equations and practical aspects in numerical integration of large systems". Computers and Chemistry, Vol. 4 (1980), 13-18. 130. Z. Zlatev, K. Schaumburg and J. Wasniewski: "Implementation of an iterative refinement option in a code for large and sparse systems". Computers and Chemistry, Vol. 4 (1980), 87-99. 131. Z. Zlatev, K. Schaumburg and J. Wasniewski: "A testing scheme for subroutines solving large linear problems". Computers and Chemistry, Vol. 4 (1980), 91-100. 132. Z. Zlatev and D. Syrakov: "A fine resolution modelling study of pollution levels in Bulgaria. Part 1: SO and NO pollution". International Journal of Environment and Pollution, Vol. 22, No. 1-2 (2004), 186-202. 133. Z. Zlatev and D. Syrakov: "A fine resolution modelling study of pollution levels in Bulgaria. Part 2: High ozone levels". International Journal of Environment and Pollution, Vol. 22, No. 1-2 (2004), 203-222. 134. Z. Zlatev and P. G. Thomsen: "Application of backward differentiation methods to the finite element solution of time-dependent problems". International Journal for Numerical Methods in Engineering, Vol. 14 (1979), 1051-1061. 135. Z. Zlatev and P. G. Thomsen: "Automatic solution of differential equations based on the use of linear multistep methods". ACM Transactions on Mathematical Software, Vol. 5 (1979), 401-414. 135. Z. Zlatev, Ph. Vu, J. Wasniewski and K. Schaumburg: "Computations with symmetric, positive definite and band matrices on vector parallel processors". Parallel Computing, Vol. 8 (1988), 301-312. 136. Z. Zlatev and J. Wasniewski: "Running air pollution models on the Connection Machine". Mathematical and Computer Modelling, Vol. 20, No. 6 (1994), 1-17. 137. Z. Zlatev, J. Wasniewski, J. Moth and M. Venugopal: "Optimizing air pollution models on parallel machines". Supercomputer, Vol. 8, No. 9 (1992), 23-36. 138. Z. Zlatev, J. Wasniewski and K. Schaumburg: "Comparison of two algorithms for solving large linear systems". SIAM Journal on Scientific and Statistic Computing, Vol. 3 (1982), 486-501. 140. Z. Zlatev, J. Wasniewski and K. Schaumburg: "Exploiting the sparsity in the solution of linear ordinary differential equations". Computers and Mathematics with Applications, Vol. 11 (1985), 1069-1087. 141. Z. Zlatev, J. Wasniewski and K. Schaumburg: "Numerical treatment of models arising in nuclear magnetic resonance spectroscopy". Advances in Engineering Software, Vol. 8 (1986), 223-233. 142. Z. Zlatev, J. Wasniewski and K. Schaumburg: "Condition number estimators in a sparse matrix software". SIAM Journal on Scientific and Statistic Computing, Vol. 7 (1986), 1175-1186. 143. Z. Zlatev, J. Wasniewski and K. Schaumburg: "Running conjugate gradient algorithms on three vector machines". Supercomputer, Vol. 29 (1989), 31-41. 1. V. N. Alexandrov and Z. Zlatev: "Using parallel Monte Carlo methods in large-scale air pollution modelling". In: "Computational Science – ICCS 2004" (M. Bubak, G. D. Albada, P. M. A. Sloot and J. Dongarra, eds. ), 491-498, Springer, Berlin, 2004. 2. C. Ambelas Skjøth, A. Bastrup-Birk, J. Brandt and Z. Zlatev: "Studying air pollution problems in France by the Danish Eulerian Model". In: "Proceedings of APMS'98", Vol. 1, pp. 45-55. ENPC (Ecole Nationale des Ponts et Chaussees) and INRIA (Institute National de Resherche en Informatique et en Automatique), Paris, 1998. 3. 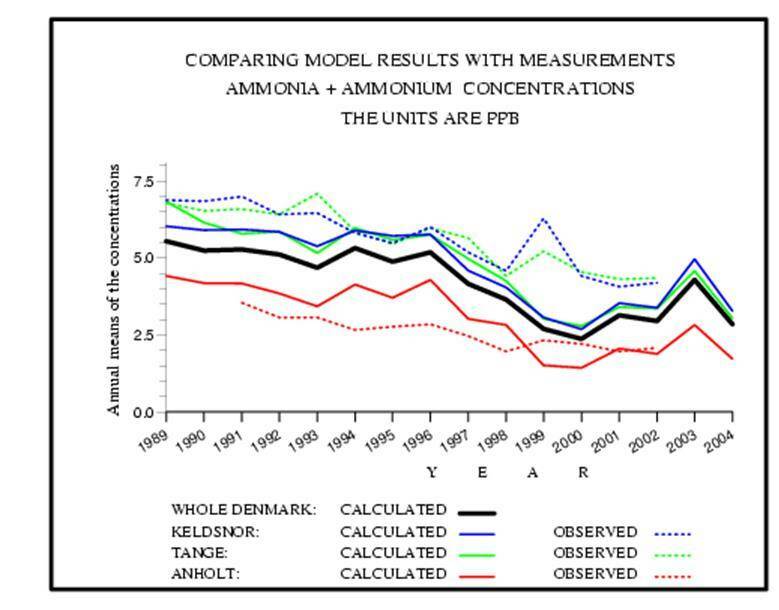 C. Ambelas Skjøth, A. Bastrup-Birk, J. Brandt and Z. Zlatev: "Long-term calculations with large air pollution models". In: "Large Scale Computations in Air Pollution Modelling" (Z. Zlatev, J. Brandt, P. Builtjes, G. Carmichael, I. Dimov, J. Dongarra, H. van Dop, K. Georgiev, H. Hass and R. San Jose, eds. ), pp. 25-38. Kluwer Academic Publishers, Dordrecht-Boston-London, 1999. 4. C. Ambelas Skjøth, A. Bastrup-Birk, J. Brandt and Z. Zlatev: "Studying ozone episodes in Europe with the Danish Eulerian Model". In: "Air Pollution Modelling and Its Applications" (S.-E. Grynning and E. Batchvarova, eds. ), pp. 331-338. Kluwer Academic/Plenum Publishers, New York, 2000. 5. C. Ambelas Skjøth, J. Brandt and Z. Zlatev: "Long-term calculations with the Danish Eulerian Model". In: "Proceedings of the Second GLOREAM Workshop" (R. San Jose and P. Builtjes, eds. ), pp. 116-126. Technical University of Madrid, Madrid, Spain, 1999. 6. C. Ambelas Skjøth and Z. Zlatev: "Handling the output data from large-scale air pollution models". In: "Modelling Physical and Chemical Processes in the Atmosphere" (O. Hertel, Z. Zlatev, S. Larsen and T. Mikkelsen, eds. ), pp. 79-94. Proceedings of the Risø-NERI Workshop (March, 12-13, 1999, Roskilde). National Environmental Research Institute, Roskilde, Denmark, 1999. 7. B. S. Andersen, P. Kaae, C. Keable, W. Owczarz, J. Wasniewski and Z. Zlatev: "PVM implementations of advection-chemistry modules of air pollution models". In: "Parallel Scientific Computing" (J. Dongarra and J. Wasniewski, eds. ), pp. 11-16. Springer-Verlag, Berlin, 1994. 8. A. Antonov, K, Georgiev, E. Komsalova and Z. Zlatev: "Implementation of bilinear non-conforming finite elements in an Eulerian air pollution model: Results obtained by using the rotational test”. In: "Numerical Methods and Applications" (I. Dimov, I. Lirkov, S. Margenov and Z. Zlatev, eds. ), pp. 379-386. Lecture Notes in Computer Science, No. 2542, Spinger-Verlag, Berlin, 2003. 9. A. Antonov, K, Georgiev, E. Komsalova and Z. Zlatev: "Comparison of two local refinement methods for large scale air pollution models”. In: "Large Scale Scientific Computations IV". (I. Lirkov, S. Margenov, P. Yalamov and J. Wasniewski, eds. ), pp. 337-344 . Springer-Verlag, Berlin, 2004. 10. A. Bastrup-Birk, J. Brandt, I. Uria and Z. Zlatev: "Studying high ozone concentrations in Europe during a seven-year period". In: "Regional Modelling of Air Pollution in Europe" (G. Geernaert, A. Walløe Hansen and Z. Zlatev, eds. ), pp. 19-47. National Environmental Research Institute, Roskilde, Denmark, 1997. 11. A. Bastrup-Birk, J. Brandt and Z. Zlatev: "Modelling the impact of long-range transported air pollutants on vegetation". In: "Regional Modelling of Air Pollution in Europe" (G. Geernaert, A. Walløe Hansen and Z. Zlatev, eds. ), pp. 7-17. National Environmental Research Institute, Roskilde, Denmark, 1997. 12. A. Bastrup-Birk, J. Brandt and Z. Zlatev: "Long term calculations with the Danish Eulerian Model". In: "Global and Regional Atmospheric Modelling" (H. Hass and I. J. Ackermann, eds. ), pp. 147-156. Proceedings from the First GLOREAM Workshop, Ford Research Centre, Aachen, Germany, 1998. 13. A. Bastrup-Birk, J. Brandt and Z. Zlatev: "Studying the impact of ozone episodes in Europe on vegetation". In: "Global and Regional Atmospheric Modelling" (H. Hass and I. J. Ackermann, eds. ), pp. 157-166. Proceedings from the First GLOREAM Workshop, Ford Research Centre, Aachen, Germany, 1998. 14. A. Bastrup-Birk, J. Brandt and Z. Zlatev: "Modelling transport and dispersion from accidental releases". In: "Global and Regional Atmospheric Modelling" (H. Hass and I. J. Ackermann, eds. ), pp. 167-176. Proceedings from the First GLOREAM Workshop, Ford Research Centre, Aachen, Germany, 1998. 15. A. Bastrup-Birk, J. Brandt and Z. Zlatev: "Studyung air pollution levels in Europe with the Danish Eulerian Model". In: "Measuring and Modelling Investigation of Environmental Processes" (R. San Jose, ed. ), pp. 71-105. WIT Press, Boston-Southampton, 1999. 16. A. Bastrup-Birk, J. Brandt and Z. Zlatev: "Real time predictions of transport, dispersion and deposition from nuclear accidents". In: "Large Scale Computations in Air Pollution Modelling" (Z. Zlatev, J. Brandt, P. Builtjes, G. Carmichael, I. Dimov, J. Dongarra, H. van Dop, K. Georgiev, H. Hass and R. San Jose, eds. ), pp. 53-62. Kluwer Academic Publishers, Dordrecht-Boston-London, 1999. 17. A. Bastrup-Birk, J. Brandt and Z. Zlatev: "Studying air pollution problems in Europe using the Danish Eulerian Model and TREGRO". In: "Transport and Chemical Transformation in the Troposphere" (P. M. Borrell and P. Borrell, eds. ), Vol. 2, pp. 565-569. WIT Press, Boston-Southampton, 1999. 18. A. Bastrup-Birk, J. Brandt and Z. Zlatev: “Modelling atmospheric transport, dispersion and deposition on short and long range scale: Validation against ETEX-1, ETEX-2 and Chernobyl". In: "Transport and Chemical Transformation in the Troposphere", (P. M. Borrell and P. Borrell, eds. ), Vol. 2, pp. 570-574. WIT Press, Boston-Southampton, 1999. 19. C. Bendtsen and Z. Zlatev: "Running air pollution models on message passing machines". In: "Parallel Virtual Machine and Message Passing Interface" (M. Bubak, J. Dongarra and J. Wasniewski, eds. ), pp. 417-426. Springer-Verlag, Berlin, 1997. 20. C. Bendtsen, Z. Zlatev and J. Østergaard: "Porting large air pollution codes to parallel architectures" In: "Modelling Physical and Chemical Processes in the Atmosphere" (O. Hertel, Z. Zlatev, S. Larsen and T. Mikkelsen, eds. ), pp. 105-110. Proceedings of the Risø-NERI Workshop (March, 12-13, 1999, Roskilde). National Environmental Research Institute, Roskilde, Denmark, 1999. 21. J. Brandt, A. Bastrup-Birk, J. Christensen and Z. Zlatev: "Numerical modelling of transport, dispersion and deposition - Validation against ETEX-1, ETEX-2 and Chernobyl". In: "Proceedings of APMS'98", Vol. 2, pp. 351-376. ENPC (Ecole Nationale des Ponts et Chaussees) and INRIA (Institute National de Resherche en Informatique et en Automatique), Paris, 1998. 22. J. Brandt, J. Christensen, I. Dimov, K. Georgiev, I. Uria and Z. Zlatev: "Treatment of large air pollution models". In: "Numerical Analysis and Its Applications" (L. Vulkov, J. Wasniewski and P. Yalamov, eds. ), pp. 66-77. Springer-Verlag, Berlin, 1997. 23. J. Brandt, J. Christensen, A. Ebel, H. Elbern, H. Jakobs, M. Memmesheimer, T. Mikkelsen, S. Thykier-Nielsen and Z. Zlatev: "ETEX-1, Second phase: Calculations performed by NERI/Risø (Denmark) and the University of Cologne (Germany)". In: "ATMES-2 - Evaluation of Long-range Dispersion Models using first ETEX Release Data. Vol. II - Models Description", Proceedings of the ETEX Symposium on Long-range Atmospheric Transport, Model Verification and Emergency Response, Vienna, May 1997. 24. J. Brandt, J. Christensen, A. L. M. Frohn, R. Berkowicz and Z. Zlatev: "Optimization of operational air pollution forecast modelling on European scale)". In: "Global and Regional Atmospheric Modelling ", (G. Barone, P. J. Builtjes and G. Giunta, eds. ), pp. 269-279, Annalli, Facolta di Scienze Nautiche, Instituto Universitario Navale, Napoli, Italy, 2000. 25. J. Brandt, J. Christensen, L. M. Frohn, R. Berkowicz, C. Ambelas Skjøth, C. Geels, K. M. Hansen, J. Frydendall, G. B. Heedegaard, O. Hertel, S. S. Jensen, M. Hvidberg, M. Ketzel, H. R. Olesen, P. Løfstrøm, Z. Zlatev and M. S. Andersen: “THOR - An operational and integrated model system for air pollution forecasting, management and assessment from global to local scale”. In: “The Changing Chemical Climate of the Atmosphere. First Accent Symposium, Urbino, September 12-16, 2005” (S. Fuzzi and M. Maione, eds. ), pp. 113-118, ACCENT: The European Network for Excellence, 2006. 26. J. Brandt, J. Christensen and Z. Zlatev: "Modelling of high-resolution long-range transport and deposition from the Chernobyl accident by using DREAM". In: "Proceedings of the Second GLOREAM Workshop" (R. San Jose and P. Builtjes, eds. ), pp. 135-146. Technical University of Madrid, Madrid, Spain, 1999. 27. J. Brandt, I. Dimov, K. Georgiev, I. Uria and Z. Zlatev: "Numerical algorithms for the three-dimensional version of the Danish Eulerian Model". In: "Regional Modelling of Air Pollution in Europe" (G. Geernaert, A. Walløe Hansen and Z. Zlatev, eds. ), pp. 249-262. National Environmental Research Institute, Roskilde, Denmark, 1997. 28. J. Brandt, I. Dimov, K. Georgiev, J. Wasniewski and Z. Zlatev: "Coupling the advection and the chemical parts of large air pollution models". In: "Applied Parallel Computing. Industrial Computation and Optimization" (J. Wasniewski, J. Dongarra, K. Madsen and D. Olesen, eds. ), pp. 65-76. Springer-Verlag, Berlin, 1996. 29. J. Brandt, A. Ebel, H. Elbern, H. Jakobs, M. Memmesheimer, T. Mikkelsen, S. Thykier-Nielsen and Z. Zlatev: "The importance of accurate meteorological input fields and accurate planetary boundary layer parameterizations, tested against ETEX-1". In: “ETEX Symposium on Long-Range Atmospheric Transport, Model Verification and Emergency Response”, 13-16 May 1997, Vienna, Austria, (K. Nodop, ed. ), pp. 195-198. Proceedings. European Commission - EUR 17346 EN, 1997. 30. J. Brandt, T. Ellermann, E. Lyck, T. Mikkelsen, S. Thykier-Nielsen and Z. Zlatev: "Validation of a combination of two models for long-range tracer simulations". In: "Air Pollution Modeling and Its Application XI" (S. E. Gryning and F. A. Schiermeier, eds. ), pp.325-332. Plenum Press, New York and London, 1996. 31. J. Brandt, T. Mikkelsen, S. Thykier-Nielsen and Z. Zlatev: "Using a combination of two models in tracer simulations". In: "Dispersion Prognoses and Consequences in the Environment" (U. Tveten, ed. ), pp. 85-111. Tema Nord 1995:544, Nordic Council of Ministers, Copenhagen, 1995. 32. J. Brandt, T. Mikkelsen, S. Thykier-Nielsen and Z. Zlatev: "The Danish Rimpuff and Eulerian Accidental release Model (The Dream) - Results with ETEX-1". In: "Report on the Second Meeting on Nordic Dispersion/Trajectory Model Intercomparison with the ETEX-1 Full-scale Experiment". (U. Tveten, ed. ), pp. 19-32. Finnish Meteorological Institute, Helsinki, Finland, 1997. 33. J. Brandt and Z. Zlatev: "Large-scale parallel computations in air pollution modelling: fantasy, reality and ... dreams". In: "Physics Computing" (P. Borcheds, M. Bubak and A. Maksymowicz, eds. ), pp. 524-531. Academic Computing Centre, Krakow, Poland, 1996. 34. J. Brandt and Z. Zlatev: "Studying long-range transport from accidental nuclear release by mathematical models". In: "Large-scale Scientific Computations in Engineering and Environmental Mathematics", Notes in Numerical Fluid Dynamics, Vol. 62 (M. Griebel, O. Iliev, S. Margenov and P. S. Vassilevski, eds. ), pp. 136-144. Vieweg, Braunschweig, Wiesbaden, 1998. 35. J. Brandt and Z. Zlatev: "Efficient algorithms for the chemical part of large air pollution models". In: "Large-scale Scientific Computations in Engineering and Environmental Mathematics", Notes in Numerical Fluid Dynamics, Vol. 62 (M. Griebel, O. Iliev, S. Margenov and P. S. Vassilevski, eds. ), pp. 145-154. Vieweg, Braunschweig, Wiesbaden, 1998. 36. J. Brandt, Z. Zlatev, T. Mikkelsen and S. Thykier-Nielsen: "Using a combination of two models for calculations of tracer simulations performed by the National Environmental Research Institute (DMU) and Risø National Laboratory". In: "Report of the Nordic Dispersion-Trajectory Model Comparison with the ETEX Full-scale Experiment" (U. Tveten and T. Mikkelsen, eds. ), pp. 33-48. Risø National Laboratory, DK-4000 Roskilde, Denmark, 1995. 37. J. Brown, P. C. Hansen, P. Kaae, C. Keable, W. Owczarz, J. Wasniewski and Z. Zlatev: "Comparison of parallel computers using air pollution models". In: "Parallel Processing for Scientific Computing" (D. H. Bailey, P. E. Børnstad, J. R. Gilbert, M. V. Mascagni, R. S. Schreiber, H. D. Simon, V. J. Tarczan and L. T. Watson, eds. ), pp. 113-118. SIAM, Philadelphia, 1995. 38. J. Brown, P. C. Hansen, J. Wasniewski and Z. Zlatev: "Comparison of massively parallel computers using air pollution models". In: "Parallel Scientific Computing" (J. Dongarra and J. Wasniewski, eds. ), pp. 110-126. Springer-Verlag, Berlin, 1994. 39. P. J. H. Builtjes, C. Borrego, A. C. Carvalho, A. Ebel, M. Memmesheimer, F. Feichter, A. Münzenberg, E. Schaller and Z. Zlatev: "Global and Regional Atmospheric Modelling: Overview of Subproject GLOREAM". In: "Towards Cleaner Air for Europe – Science, Tools and Applications. Part 2: Overview from the Final Reports of the Eurotrac-2 Subprojects" (P. M. Midgley and M. Reuther, eds. ), pp. 139-166. Margraf Publishers, Weikersheim, 2003 (this part of the book is also available: http://www.gsf.de/eurotrac/publications/et2_fin_rep/fr_8_gloream.pdf ). 40. P. J. H. Builtjes, A. Ebel, J. Feichter, C. Borrego, R. Friedrich, J. Hass, J. E. Jonson, A. Lindskog, N. Moussiopoulos, E. Shaller, Z. Zlatev and A. Münzenberg: "Global and Regional Atmospheric Modelling: GLOREAM". GSF – National Research Center for Environment and Health, International Scientific Secretariat (ISS), EUROTRAC-2, Münich, 2003 (available also at: http://www.dmu.dk/AtmosphericEnvironment/gloream/). 41. I. Dimov, I. Faragó and Z. Zlatev: "Commutativity of the operators in splitting methods for air pollution". Central Laboratory for Parallel Processing, Bulgarian Academy of Sciences, Acad. G. Bonchev Str., Bl. 25A, 1113 Sofia, Bulgaria, 1999. 42. I. Dimov, G. Geernaert and Z. Zlatev: “Influence of future climate changes in Europe on exceeded ozone critical levels”. In: “Proceedings from the EUROTRAC-2 Symposium 2002” (P. M. Midgley and M. Reuther, eds.). Margraf Verlag, Weikersheim, 2002. 43. I. Dimov, G. Geernaert and Z. Zlatev: “Influence of future climate changes in Europe on exceeded ozone critical levels”. In: “Nordic Meteorological Meeting 23, 2002” (H. E. Joergensen, ed.). http://www.dams.dk/nmm2002/proceedings.htm, 2002. 44. I. Dimov, G. Geernaert and Z. Zlatev: “Fighting the great challenges in large-scale environmental modelling”, In: “Advances in Air Pollution Modeling for Environmental Security”, (I. Faragó, Á. Havasi, K. Georgiev, eds. ), pp. 105-114, NATO Science Series, 54, Springer, Berlin, 2005. 45. I. Dimov, K. Georgiev, J. Wasniewski and Z. Zlatev: "The three-dimensional version of the Danish Eulerian model". In: "Applied Parallel Computing" (J. Dongarra, K. Madsen and J. Wasniewski, eds. ), pp. 151-157. Springer-Verlag, Berlin, 1996. 46. I. Dimov, K. Georgiev and Z. Zlatev: "Long-range transport of air pollutants and source receptor relations". In: "Large-scale Scientific Computations in Engineering and Environmental Mathematics", Notes in Numerical Fluid Dynamics, Vol. 62 (M. Griebel, O. Iliev, S. Margenov and P. S. Vassilevski, eds. ), pp. 155-166. Vieweg, Braunschweig, Wiesbaden, 1998. 47. I. Dimov, K. Georgiev and Z. Zlatev: "Some sourse-receptor relations studied by the Danish Eulerian Model". In: "Harmonisation within Atmospheric Dispersion Modelling for Regulatory Purposes", Proceedings of the Eighth Conference, Sofia, Bulgaria, October 2002. National Institute of Meteorology and Hydrology, Bulgarian Academy of Sciences. Demetra Ltd., Sofia, 2002. 48. I. Dimov, R. Georgieva, Tz. Ostromsky and Z. Zlatev: "Variance-based sensitivity analysis of the Unifired Danish Eulerian Model", Numerical Analysis and Its Applications, Lecture Notes in Computer Science, Vol. 8236 (2013), pp. 247-254. 49. I. Dimov, Tz. Ostromsky, I. Tzvetanov and Z. Zlatev: "Economical estimations of the losses of crops due to high ozone levels". In: "Large-Scale Scientific Computations in Engineering and Environmental Mathematics: II", Notes in Numerical Fluid Dynamics, Vol. 73 (M. Griebel, S. Margenov and P. Yalamov, eds. ), pp. 275-282. Vieweg, Braunschweig, Wiesbaden, 2000. 50. I. Dimov, Tz. Ostromsky, and Z. Zlatev: “Challenges in using splitting techniques for large-scale environmental modeling”, In: “Advances in Air Pollution Modeling for Environmental Security”, (I. Faragó, Á. Havasi, K. Georgiev, eds. ), pp. 115-131, NATO Science Series, 54, Springer, Berlin, 2005. 51. I. Dimov and Z. Zlatev: "Sensitivity simulation of concentrations to variation of some rate constants". In: "Large-scale Scientific Computations in Engineering and Environmental Mathematics", Notes in Numerical Fluid Dynamics, Vol. 62 (M. Griebel, O. Iliev, S. Margenov and P. S. Vassilevski, eds. ), pp. 167-175. Vieweg, Braunschweig, Wiesbaden, 1998. 52. I. Dimov and Z. Zlatev: "Optimization problems in air pollution modelling". In: "Handbook on Applied Optimization" (P. M. Pardalos and M. G. C. Resende, eds. ), pp. 943-956. Oxford University Press, Oxford – New York, 2002. 53. I. Dimov and Z. Zlatev: "Richardson Extrapolation: accuracy, stepsize control, stability". In: "BGSIAM’10: Proceedings of the Figth Annual Meeting od the Bulgarian Section of SIAM", http://parallel.bas.bg/~gery/docs/BGSIAM/proc10.pdf, 2010. 54. I. Farago, K. Georgiev and Z. Zlatev: "Parallelization of advection-diffusion-chemistry modules". In: “Large_Scale Scientific Computing” (I. Lirkov, S. Margenov and J. Wasniewski, eds. ), pp. 28-39. Springer-Verlag, Berlin, 2008. 55. I. Faragó, Á. Havasi and Z. Zlatev: "The convergence of explicit Runge-Kutta methods combined with Richardson Extrapolation". In: “Conference Applications of Mathematics in honour of the 60th birthday of Michal Křižek”, pp. 99-106. Institute of Mathematics, AS, CR, Prague, 2012. 56. K. Gallivan, A. Sameh and Z. Zlatev: "Solving general sparse linear systems using conjugate gradient-type methods". In: "Proceedings of the 1990 International Conference on Supercomputing in Amsterdam". ACM Press, New York, 1990. 57. K. Gallivan, A. Sameh and Z. Zlatev: "Parallel direct methods for general sparse matrices". In: "NATO ASI on Computer Algorithms for Solving Linear Equations: The State of the Art" (Il Ciocco, September 1990), pp. 141-166. Universita Degli Studi di Bergamo, Stampato Presso la Cooperativa Studium Bergomense, Bergamo, Italy, 1991. 58. K. A. Gallivan, A. H. Sameh and Z. Zlatev: "Comparison of ten methods for the solution of large and sparse linear algebraic systems ". In: "Numerical Methods and Applications" (I. Dimov, I. Lirkov, S. Margenov and Z. Zlatev, eds. ), pp. 24-35. Lecture Notes in Computer Science, No. 2542, Spinger-Verlag, Berlin, 2003. 59. K. Ganev, D. Syrakov and Z. Zlatev: "Effective indices for emissions from road transport". In: “Large_Scale Scientific Computing” (I. Lirkov, S. Margenov and J. Wasniewski, eds. ), pp. 401-409. Springer-Verlag, Berlin, 2008. 60. G. Geernaert and Z. Zlatev: “Testing the influence of the biogenic emissions on high ozone levels in Denmark and in Europe”. In: “Proceedings from the EUROTRAC-2 Symposium 2002” (P. M. Midgley and M. Reuther, eds.). Margraf Verlag, Weikersheim, 2002. 61. K. Georgiev, Tz. Osttromsky and Z. Zlatev: " New parallel implementation of an air pollution computer model: Performance study on an IBM Blue Gene/P computer”. In: ”Large Scale Computating” (I. Lirkov, S. Margenov and J. Wasniewki, eds. ), pp. 283-290, Lecture Notes in Computer Science 7116, Springer, Berlin, 2012. 62. K. Georgiev and Z. Zlatev: "Running an advection-chemistry code on message passing computers". In: "Recent Advances in Parallel Virtual Machine and Message Passing Interface". (V. Alexandrov and J. Dongarra, eds. ), pp. 354-363 Springer-Verlag, Berlin, 1998. 63. K. Georgiev and Z. Zlatev: "Application of parallel algorithms in an air pollution model". In: "Large Scale Computations in Air Pollution Modelling" (Z. Zlatev, J. Brandt, P. Builtjes, G. Carmichael, I. Dimov, J. Dongarra, H. van Dop, K. Georgiev, H. Hass and R. San Jose, eds. ), pp. 173-184. Kluwer Academic Publishers, Dordrecht-Boston-London, 1999. 64. K. Georgiev and Z. Zlatev: "Running the Danish Eulerian Model on message passing computers". In: "Modelling Physical and Chemical Processes in the Atmosphere" (O. Hertel, Z. Zlatev, S. Larsen and T. Mikkelsen, eds. ), pp. 105-110. Proceedings of the Risø-NERI Workshop (Roskilde, March, 12-13, 1999). National Environmental Research Institute, Roskilde, Denmark, 1999. 65. K. Georgiev and Z. Zlatev: "Running large-scale air pollution models on parallel computers" In: "Air Pollution Modelling and Its Applications" (S.-E. Grynning and E. Batchvarova, eds. ), pp. 223-232. Kluwer Academic/Plenum Publishers, New York, 2000. 66. K. Georgiev and Z. Zlatev: "Some numerical experiments with the parallel version of the two-dimensional Danish Eulerian Model". In: "Large-Scale Scientific Computations in Engineering and Environmental Mathematics: II", Notes in Numerical Fluid Dynamics, Vol. 73 (M. Griebel, S. Margenov and P. Yalamov, eds. ), pp. 283-291. Vieweg, Braunschweig, Wiesbaden, 2000. 67. K. Georgiev and Z. Zlatev: "Fine-grid resolution in the Danish Eulerian Model and an implementation on an SGI Origin 2000 computer". In: "Large Scale Scientific Computations III". (S. Margenov, P. Yalamov and J. Wasniewski, eds. ), pp. 272-280. Springer-Verlag, Berlin, 2001. 68. K. Georgiev and Z. Zlatev: "Parallel sparse matrix algorithms for air pollution models". In: "Parallel Numerical Linear Algebra". (J. Dongarra and E. J. Kontoghiorghes, eds. ), pp. 91-109. Nova Science Publishers, Commack, NY, USA, 2001. 69. K. Georgiev and Z. Zlatev: "Studying an Eulerian computer model on different high performance platforms and some applications". In: "Applications of Mathematics in Technical and Natural Sciences", Proceedings of the Second International Conference, Vol. 1302, pp. 476-485, doi:10.1063/1.3526647, 2010. 70. K. Georgiev and Z. Zlatev: "Notes on the numerical treatment of sparse matrices arising in a chemical model". In: "Proceedings of the Fourth Annual Meeting of the Bulgarian Section of SIAM", pp. 39-44. Demetra, Sofia, 2010. 71. K. Georgiev and Z. Zlatev: "Runs of the UNI-DEM model on IBM Blue Gene computer and analysis ofmodel performance". In: “Large_Scale Scientific Computing” (I. Lirkov, S. Margenov and J. Wasniewski, eds. ), pp. 188-196. Lecture Notes in Computer Science 5910, Spinger-Verlag, Berlin, 2010. 72. K. Georgiev and Z. Zlatev: "Some notes on the implementation of sparse matrix techniques in an advection-diffusion module ". In: "BGSIAM’10: Proceedings of the Figth Annual Meeting of the Bulgarian Section of SIAM", http://parallel.bas.bg/~gery/docs/BGSIAM/proc10.pdf, 2010. 73. K. Georgiev and Z. Zlatev: "Studying an Eulerian computer model on different high performance platforms and some applications". In: "Applications of Mathematics in Technical and Natural Sciences", Proceedings of the (Second AIP International Conference), AIP Conf. Proc. Vol. 1302 (2010), pp. 476-485, doi:10.1063/1.3526647. 74. K. Georgiev and Z. Zlatev: "Specialized sparse matrices solver in the chemical part of an environmental model ". In: “Numerical Methods and Applications” (I. Dimov, S. Dimova and N. Kolkovska, eds. ), pp. 158-166. Lecture Notes in Computer Science 6046, Spinger-Verlag, Berlin, 2011. 75. K. Georgiev and Z. Zlatev: “Numerical experiments with applying approximate LU-factorizations as preconditioners for solving SLAEs with coefficient matrices from the “Sparse Matrix Market”” In: “AIP Conference Proceedings”, 1487, 104 (2012); doi: 10.1063/1.4758947. 76. P. C. Hansen, Tz. Ostromsky and Z. Zlatev: "Two enhancements in a partitioned sparse code". In: "Parallel Scientific Computing" (J. Dongarra and J. Wasniewski, eds. ), pp. 296-303. Springer-Verlag, Berlin, 1994. 77. H. Hass, M. van Loon, C. Kessler, R. Stern, J. Mathijsen, F. Sauter, Z. Zlatev, J. Langner, V. Foltescu and M. Schaap: “Aerosol modelling: Results and intercomparison from European regional-scale modelling systems”. GSF – National Research Center for Environment and Health, International Scientific Secretariat (ISS), EUROTRAC-2, Münich, 2003 (available also at: http://www.trumf.fu-berlin.de/veranstaltungen/events/glream/GLOREAM_PMmodel-comparison.pdf ). 78. H. Hass, M. van Loon, J. Mathijsen, R. Stern and Z. Zlatev: “Continental scale aerosol modelling”. In: “Proceedings from the EUROTRAC-2 Symposium 2002” (P. M. Midgley and M. Reuther, eds.). Margraf Verlag, Weikersheim, 2002. 79. H. Hass, M. van Loon, J. Mathijsen, R. Stern, Z. Zlatev and J. Langner: “GLOREAM aerosol modelling intercomparison”. In: “Global and Regional Atmospheric Modelling. Proceedings of the Sixth GLOREAM Workshop” (C. Borrego, P. Builtjes, A. I. Miranda, P. Santos and A. C. Carvalho, eds. ), pp. 90-94. Department of Environment and Planning, University of Aveiro, Portugal, 2002. 80. Á. Havasi, I. Faragó and Z. Zlatev: "Efficient Numerical Methods in Air Pollution Transport Modelling: Operator Splitting and Richardson Extrapolation”, in “17th International Conference on Harmonization within Atmospheric Dispersion Modelling for Regulatory Purposes”, 9-12 May, 2016, Budapest Hungary. 81. S. S. Jensen, R. Berkowicz, M. Winther, Z. Zlatev and F. Palmgren: ”Future air quality in Danish cities - impact assessment of the new EU emission and fuel quality directives”. In: ”Transport and Air Pollution” (R. Joumard, ed. ), Vol. 1, pp. 167-174. Proceedings of the 9th Symposium on Transport and Air Pollution, 5-8 June 2000, Avignon, France, 2000. 82. M. Roemer, M. Beekman, R. Bergsröm, G. Boersen, H. Feldmann, F. Flatøy, C. Honore, J. Langner, J. E. Jonson, J. Matthijsen, M. Memmesheimer, D. Simpson, P. Smeets, S. Solberg, D. Stevenson, P. Zandveld and Z. Zlatev: "Ozone trends according to ten dispersion models”. GSF – National Research Center for Environment and Health, International Scientific Secretariat (ISS), EUROTRAC-2, Münich, 2003 (available also at: http://www.mep.tno.nl/eurotrac/EUROTRAC-trends.pdf). 83. Tz. Ostromsky, I. Dimov, R. Georgieva and Z. Zlatev: "Sensitivity analysis of large-scale air pollution modelling: numerical aspects and highly parallel implementation". In: “Large_Scale Scientific Computing” (I. Lirkov, S. Margenov and J. Wasniewski, eds. ), pp. 197-205. Lecture Notes in Computer Science 5910, Spinger-Verlag, Berlin, 2010. 84. Tz. Ostromsky, I. Dimov, R. Georgieva and Z. Zlatev: New parallel implementation of an air pollution computer model: Performance study on an IBM Blue Gene/P computer”. In: ”Large Scale Computating” (I. Lirkov, S. Margenov and J. Wasniewki, eds. ), pp. 283-290, Lecture Notes in Computer Science 7116, Springer, Berlin, 2012. 85. Tz. Ostromsky, I. Dimov, R. Georgieva, P. Marinov and Z. Zlatev: “Sensitivity of a large-scale air pollution model by using high-performance computations and Monte Carlo algorithms”. In: ”Application of Mathematics in Technical and Natural Sciences”, AIP Conf. Proc. Vol. 1561, p. 153, doi:10.1063/1.4827224 2013. 86. Tz. Ostromsky, I. Dimov, R. Georgieva, P. Marinov and Z. Zlatev: “High performance computing of data for a new sensitivity analysis algorithm applied in an air pollution model”. Numerical Analysis and Its Applications, Lecture Notes in Computer Science, Vol. 8236 (2013), pp. 428-436. 87. Tz. Ostromsky, I. Dimov, P. Marinov, R. Georgieva and Z. Zlatev: “Advanced sensitivity analysis of the Danish Eulerian Model in parallel end grid environment”. In: ”Application of mathematics in technical and natural sciences” (Third AIP International Conference), AIP Conf. Proc., Vol. 1404 (2011), pp. 225-232. 88. Tz. Ostromsky, I. Dimov and Z. Zlatev: "Parallel implementation and one year experiments with the Danish Eulerian Model" In: "Numerical Analysis and Its Applications" (Z. Li, L. Vulkov and J. Wasniewski, eds. ), pp. 440-447. Springer-Verlag, Berlin, 2005. 89. Tz. Ostromsky, I Dimov, V Todorov, Z Zlatev: “Sensitivity analysis of an Air Pollution Models by Using Quasi-Monte-Carlo Algorithms for Multidimensional Numerical Integration”, in “Finite Difference Methods: Theory and Applications”, Seventh International Conference, FDM:T&A 2018 Lozenetz, Bulgaria, June 11-26, 2018, Ivan Dimov, István Faragó and Lubin Vulkov (eds), Lecture Notes in Computer Science, Vol. 11386, Springer, Berlin, 2018. 90. Tz. Ostromsky, P. C. Hansen and Z. Zlatev: "A parallel sparse QR-factorization algorithm" In: "Applied Parallel Computing" (J. Dongarra, K. Madsen and J. Wasniewski, eds. ), pp. 462-472. Springer-Verlag, Berlin, 1996. 91. Tz. Ostromsky, R. Georgieva and Z. Zlatev: “An efficient highly parallel implementation of a large air pollution model on an IBM Blue Gene supercomputer”. In: ”Application of Mathematics in Technical and Natural Sciences”, AIP Conf. Proc. Vol. 1487, pp. 135-142, doi: http://dx.doi.org/10.1063/1.4758951, 2012. 92. Tz. Ostromsky, W. Owczarz and Z. Zlatev: "Computational challemges in large-scale air pollution modelling ". In: "Procceedings of the 2001 International Conference on Supercomputing", pp. 407-418. ACM (Association for Computing Machinery) Press, New York, 2001. 93. Tz. Ostromsky, S. Salvini, J. Wasniewski and Z. Zlatev: "Parallel solution of sparse problems by using a sequence of large dense blocks". In: "Applied Parallel Computing. Industrial Computation and Optimization" (J. Wasniewski, J. Dongarra, K. Madsen and D. Olesen, eds. ), pp. 65-76. Springer-Verlag, Berlin, 1996. 94. Tz. Ostromsky and Z. Zlatev: "Using dense matrix computations in the solution of sparse problems" In: "Numerical Analysis and Its Applications" (L. Vulkov, J. Wasniewski and P. Yalamov, eds. ), pp. 357-364. Springer-Verlag, Berlin, 1997. 95. Tz. Ostromsky and Z. Zlatev: "Application of sparse matrix technique in the chemical part of a large air pollution model". In: "Large-scale Scientific Computations in Engineering and Environmental Mathematics", Notes in Numerical Fluid Dynamics, Vol. 62 (M. Griebel, O. Iliev, S. Margenov and P. S. Vassilevski, eds. ), pp. 189-198. Vieweg, Braunschweig, Wiesbaden, 1998. 96. Tz. Ostromsky and Z. Zlatev: "Parallel imlementation of a large-scale 3-D air pollution model". In: "Large Scale Scientific Computations III". (S. Margenov, P. Yalamov and J. Wasniewski, eds.) , pp. 309-316. Springer-Verlag, Berlin, 2001. 97. Tz. Ostromsky and Z. Zlatev: "Flexible two-level parallel implementation of a large air pollution model". In: "Numerical Methods and Applications" (I. Dimov, I. Lirkov, S. Margenov and Z. Zlatev, eds. ), pp. 545-554. Lecture Notes in Computer Science, No. 2542, Spinger-Verlag, Berlin, 2003. 98. Tz. Ostromsky and Z. Zlatev: "Parallel and GRID implementation of large scale air pollution models". In: "Numerical Methods and Applications" (T. Boyanov, S. Dimova, S. Margenov and K. Georgiev and G. Nikolov, eds. ), pp. 475-482. Lecture Notes in Computer Science, No. 4310, Spinger-Verlag, Berlin, 2007. 99. Tz. Ostromsky, Z. Zlatev, P. C. Hansen and K. A. Gallivan: "Reordering of sparse matrices and application to a parallel sparse linear system solver". In: "Scientific Computation and Mathematical Modelling" (S. Markov, ed. ), pp. 85-90. DATECS, Sofia, 1993. 100. W. Owczarz, J. Wasniewski and Z. Zlatev: "PVM implementation of advection chemistry modules of air pollution models". In: “High Performance Computing in Europe on IBM Platforms" (M. Bubak and A. Moscinski, eds. ), pp. 239-244. ACC CYFRONET - Krakow, Institute of Computer Science, Krakow, Poland, 1996. 101. W. Owczarz and Z. Zlatev: "Running a large air pollution model on an IBM SMP computer". In: "Global and Regional Atmospheric Modelling", (G. Barone, P. J. Builtjes and G. Giunta, eds. ), pp. 153-177, Annalli, Facolta di Scienze Nautiche, Instituto Universitario Navale, Napoli, Italy, 2000. 102. W. Owczarz and Z. Zlatev: "Running a large-scale air pollution model on fast supercomputers". In: "Atmospheric Modelling", (D. Chock and G. Carmichael, eds. ), pp. 185-204. Springer-Verlag, Berlin, (2002). 103. W. Owczarz and Z. Zlatev: "Running a large air pollution model on an IBM SMP computer". In: "Parallel Computations", (M. Paprzyski and L. T. Yang, eds. ), pp. 283-299. Nova Science Publishers, New York (2003). 104. S. Skelboe and Z. Zlatev: "Exploiting the natural partitioning in the numerical solution of ODE systems arising in atmospheric chemistry". In: "Numerical Analysis and Its Applications" (L. Vulkov, J. Wasniewski and P. Yalamov, eds. ), pp. 458-465. Springer-Verlag, Berlin, 1997. 105. D. Syrakov, M. Prodanova, Z. Zlatev and K. Slavov, K. Ganev, N. Miloshev and E. Nikolova: “Preliminary results from the use of MM5-CMAQ system for estimation of pollution levels in southeast Europe”. In: “The Changing Chemical Climate of the Atmosphere. First Accent Symposium, Urbino, September 12-16, 2005” (S. Fuzzi and M. Maione, eds. ), pp. 113-118, ACCENT: The European Network for Excellence, 2006. 106. P. G. Thomsen and Z. Zlatev: "Studying the properties of variational data assimilation methods by applying a set of test-examples". In: "Numerical Methods and Applications" (T. Boyanov, S. Dimova, S. Margenov and K. Georgiev and G. Nikolov, eds. ), pp. 492-499. Lecture Notes in Computer Science, No. 4310, Spinger-Verlag, Berlin, 2007. 107. J. Wasniewski and Z. Zlatev: "Running some modules of large air pollution models on massively parallel machines". In: "Scientific Computation and Mathematical Modelling" (S. Markov, ed. ), pp. 99-102. DATECS, Sofia, 1993. 108. J. Wasniewski and Z. Zlatev: "Comparison of two Connection machines using air pollution models". In: "Science on the Connection Machine System" (J.-M. Alimi, A. Serna and H. Scholl, eds. ), pp. 141-150. Thinking Machine Corporation, Cambridge, Massachusetts, 1995. 109. J. Wasniewski, Z. Zlatev and K. Schaumburg: "A multibanking option of an iterative refinement subroutine for linear systems of algebraic equations". In: "Proceedings of the Spring Conference of Univac Users", Geneva, 1981. 110. Z. Zlatev: "Zero-stability of some linear multistep variable stepsize variable formula methods". In: "Proceedings of the Symposium on Numerical Methods for Initial Value Problems" (G. Dahlquist, P. Loestedt and G. Soederlind, eds. ), Department of Numerical Analysis and Computer Science, The Royal Institute of Technology, Stockholm, 1979. 111. Z. Zlatev: "Sparse matrices for general matrices with real elements: pivotal strategies, decompositions and applications in ODE software". In: "Sparse Matrices and Their Application" (D. J. Evans, ed. ), pp. 185-228. Cambridge University Press, Cambridge-London, 1985. 112. Z. Zlatev: "Solving large systems of linear algebraic equations by use of package Y12M". In: "Structural Analysis Systems" (A. Niku-Lari, ed. ), Vol. 2, pp. 152-160. Pergamon Press, New York, 1985. 113. Z. Zlatev: "Numerical treatment of some mathematical models describing long-range transport of air pollutants". In: "Mathematical Analysis and Its Applications" (S. M. Mazhar, A.Hamoui and N. S. Faour, eds. ), pp. 367-383. Pergamon Press, New York, 1986. 114. Z. Zlatev: "The Danish Eulerian model for calculating sulphur and nitrogen pollution over Europe". In: "Budgets of Sulphur & Nitrogen Species in the Atmosphere" (H. ApSimon, ed.). EURASAP (European Association for the Science of Air Pollution), Brunel University, London, England, 1987. 115. Z. Zlatev: "Introduction of advanced chemical reactions in an Eulerian model: the first phase and the future tasks". In: "Budgets of Sulphur & Nitrogen Species in the Atmosphere" (H. ApSimon, ed.). EURASAP (European Association for the Science of Air Pollution), Brunel University, London, England, 1987. 116. Z. Zlatev: "Transition to variable stepsize variable formula methods for solving ordinary differential equations". In: "Computational Mathematics II" (S. O. Fatunla, ed. ), pp. 97-114. Boole Press, Dublin, 1987. 117. Z. Zlatev: "The Danish Eulerian Model". In: "Meeting on the Assessment of the Meteorological Aspects in the Fourth Phase of EMEP (October 27-30, 1989, Sofia)", pp. 30-38. Report No. 65. Environmental Pollution Monitoring Programme, World Meteorological Organization, Geneva, Switzerland, 1989. 118. Z. Zlatev: "Computations with large and band matrices on vector processors". In: "Advances in Parallel Computing" (D. J. Evans, ed. ), Vol. 1, pp. 7-37. JAI Press, London-Cambridge, England, 1990. 119. Z. Zlatev: "Solving band systems of linear equations by iterative methods on vector processors". In: "Numerical Linear Algebra, Digital Signal Processing and Parallel Computing" (G. Golub and P. Van Dooren, eds. ), pp. 713-725. Springer-Verlag, Berlin, Germany, 1990. 120. Z. Zlatev: "Parallel and vector computations: New era in air pollution modelling". In: "Hellenic European Research on Mathematics and Informatics 1994" (E. A. Lipitakis, ed. ), Vol. 2, pp.325-332. Hellenic Mathematical Society, Athens, 1996. 121. Z. Zlatev: "Running large-scale air pollution models on parallel computers". In: "Proceedings of the Symposium on Regional Weather Prediction on Parallel Computer Environments" (G. Kallos, V. Kotroni and K. Lagouvardos, eds. ), pp. 175-180. University of Athens, Athens, 1998. 122. Z. Zlatev: "Development of partitioned ODE methods with an application to air pollution models". In: "Recent Advances in Numerical Methods and Applications II" (O. P. Iliev, M. S. Kaschiev, S. D. Margenov, Bl. H. Sendov and P. S. Vassilevski, eds. ), pp. 135-146. World Scientific, Singapore-New Jersey-London-Hong Kong, 1999. 123. Z. Zlatev: "Using efficient numerical methods in large-scale air pollution modelling". In "Problems in Modern Applied Mathematics" (N. Mastorakis, ed. ), pp. 60-65. World Scientific and Engineering Society Press, New York-Athens, 2000. 124. Z. Zlatev: "Application of special sparse solvers in the chemical part of air pollution models". In: "Large-Scale Scientific Computations in Engineering and Environmental Mathematics: II", Notes in Numerical Fluid Dynamics, Vol. 73 (M. Griebel, S. Margenov and P. Yalamov, eds. ), pp. 42-53. Vieweg, Braunschweig, Wiesbaden, 2000. 125. Z. Zlatev: "Efficient treatment of large-scale air pollution models on supercomputers". In: "Computational Science – ICCS 2001". (V. N. Alexandrov, J. J. Dongarra, B. A. Juliano, R. S. Renner and C. J. Keneth Tan, eds. ), pp. 82-91. Springer-Verlag, Berlin, 2001. 126. Z. Zlatev: "Time-integration algorithms for the computer treatment of the horizontal advection in air pollution models". In: "Large Scale Scientific Computations III". (S. Margenov, P. Yalamov and J. Wasniewski, eds.) pp. 81-92. Springer-Verlag, Berlin, 2001. 127. Z. Zlatev: "Comprehensive air pollution studies by the Danish Eulerian Model". In: "GLOREAM (Global and Regional Atmospheric Modelling): Annual Report 1999", Eurotrac-2, International Scientific Secretariat (ISS), Münhen, 2001. 128. Z. Zlatev: "Massive data sets issues in air pollution modelling". In "Handbook on Massive Data Sets in Science and Engineering" (J. Abello, P. M. Pardalos, and M. G. C. Resende, eds. ), pp. 1169-1220. Kluwer Academic Press, Dordrecht, 2002. 129. Z. Zlatev: “Comprehensive air pollution studies by the Danish Eulerian Model”. In: “Global and Regional Atmospheric Modelling. Proceedings of the Sixth GLOREAM Workshop” (C. Borrego, P. Builtjes, A. I. Miranda, P. Santos and A. C. Carvalho, eds. ), pp. 61-69. Department of Environment and Planning, University of Aveiro, Portugal, 2002. 130. Z. Zlatev: ”Large Scale Air Pollution Models”. In: ”Air Pollution Processes in Regional Scale” (D. Melas and D. Syrakov, eds. ), pp. 373-384. Kluwer Academic Publishers, Dordrecht-Boston-London, 2003. 131. Z. Zlatev: ”Numerical and Computational Challenges in Environmental Modelling”. In: ”Modelling and Simulation in Chemical Engineering” (A. E. Rodrigues, P. de Oliveira, J. A. Castro and J. A. Ferreira, eds. ), pp. 111-127. Centro Internacional de Matemática, Coimbra, Portugal, 2003. 132. Z. Zlatev: ”Reliable implementation of iterative methods for solving linear algebraic equations”. In: ”AspenTech: Aspen World 2002 – Conference Proceedings on CD” Conference held in Washington, October 29 – November 1, 2002, 2003. 133. Z. Zlatev: ”Comprehensive air pollution studies with the Unified Danish Eulerian Model (UNI-DEM)”. In: ”Parallel Processing and Applied Mathematics” (R. Wyrzykowski, J. Dongarra, M. Paprzycky and J. Wasniewski, eds. ), pp. 1125-1137. Springer-Verlag, Berlin, 2004. 134. Z. Zlatev: “Parallel solution of very large sparse systems of linear algebraic equartions”. In: "Large Scale Scientific Computations IV". (I. Lirkov, S. Margenov, P. Yalamov and J. Wasniewski, eds. ), pp. 53-64 . Springer-Verlag, Berlin, 2004. 135. Z. Zlatev: “Large-scale computations with the Unified Danish Eulerian Model”. In: “Applied Parallel Computing: State of the Art in Scientific Computing” (J. Dongarra, K. Madsen and J. Wasniewski, eds. ), pp. 43-52. Springer-Verlag, Berlin, 2006. 136. Z. Zlatev: “Parallel treatment of general sparse matrices”. In: “Large_Scale Scientific Computing” (I. Lirkov, S. Margenov and J. Wasniewski, eds. ), pp. 53-64. Springer-Verlag, Berlin, 2006. 137. Z. Zlatev: "On some computational aspects of variational data assimilation techniques". In: "Numerical Methods and Applications" (T. Boyanov, S. Dimova, S. Margenov and K. Georgiev and G. Nikolov, eds. ), pp. 28-39. Lecture Notes in Computer Science, No. 4310, Spinger-Verlag, Berlin, 2007. 138. Z. Zlatev: "Computational and numerical background of the Unified Danish Eulerian Model". In: "Air, water and soil quality modelling for risk and impact assessment" (A. Ebel and T. Datashvili, eds. ), pp. 293-302. NATO Science for Peace and Security Series: C. Environmental Security, Spinger-Verlag, Berlin, 2007. 139. Z. Zlatev: "Environmental modelling, security measures and decision making ". In: "Scientific support for the decision making in the security sector" (O. Kounchev, R. Willems, V. Shalamanov and T. Tsachev, eds. ), pp. 274-288. NATO Science for Peace and Security Series: D. Information and Communication Security 12, IOS Press, Amsterdam-Berlin-Oxford-Tokyo, Washington DC, 2007. 140. Z. Zlatev: "Environmental science computing". In: "Wiley Encyclopedia of Computer Science and Engineering" (Benjamin Wah, ed.) John Wiley & Sons, Inc., London-New York- Sydney- Toronto, 2008, DOI: 10.1002/9780470050118.ecse140. 141. Z. Zlatev, C. Ambelas Skjøth and A. A. Antonov: "Comprehensive air pollution studies by the Danish Eulerian Model". In: "GLOREAM (Global and Regional Atmospheric Modelling): Annual Report 1998", Eurotrac-2, International Scientific Secretariat (ISS). Münhen, 1999. 142. Z. Zlatev and E. Batchvarova: "Large-scale air pollution models". In: "Regional transboundary Transoport of Air Pollution", (D. Melas and U. F. Paleo, eds. ), pp. 33-62. Universidad de Extramadura, Caceres, Spain, 2007. 143. Z. Zlatev, E. Berge, J. Christensen, A. Eliassen and Ø. Hov: "Long-range transport, critical levels and control strategies". In: "Proceedings of the EMEP Workshop on the Control of Photochemical Oxidants in Europe" (P. Anttilla, ed. ), pp. 49-54. Finnish Meteorological Institute, Sahaajankatu 22 E FIN-00810 Helsinki, Finland, 1991. 144. Z. Zlatev, R. Berkowicz, J. Christensen, A. Eliassen, Ø. Hov, T. Iversen and L. P. Prahm: "A qualitative study of the sensitivity of an Eulerian air pollution model with non-linear chemistry to changes of certain physical parameters". In: "Proceedings of the EMEP Workshop on Photochemical Modelling for Long-range Transport in Relation to Abatement Strategies" (J. Pankrath, ed. ), pp. 104-134. EMEP Workshop on Photochemical Modelling for Long-range Transport in Relation to Abatement Strategies (Berlin, April, 16-19, 1991). Umweltbundesamt, Berlin, Germany, 1991. 145. Z. Zlatev, R. Berkowicz, J. Christensen, A. Eliassen, Ø. Hov and L. P. Prahm: "An Eulerian air pollution model with non-linear chemistry". In: "Proceedings of the EMEP Workshop on the Progress of Transport Modeling of Nitrogen Compounds" (J. Kluge, ed. ), pp. 30-58. Deutscher Wetterdienst Zentralamt, Potsdam, Germany, 1991. 146. Z. Zlatev, R. Berkowicz and L. P. Prahm: "Choice of time-integration scheme in pseudospectral algorithm for advection equations". In: "Numerical Methods for Fluid Dynamics" (K. W. Morton and M. J. Baines, eds. ), pp. 303-321. Academic Press, London-New York, 1982. 147. Z. Zlatev, R. Berkowicz and L. P. Prahm: "PACKAGE ADM for solving advection -diffusion equations in atmospheric environments". In: "13. Nordiske Meteorologmøde - Copenhagen 1982" (H. Voldborg, ed. ), pp. 389-400. Danish Meteorological Institute, Copenhagen, 1983. 148. Z. Zlatev, R. Berkowicz and L. P. Prahm: "Package ADM for studying long-range transport of pollutants in the atmosphere". In: "Software: Modules, Interfaces and Systems" (B. Engquist and T. Smedsaas, eds. ), pp. 153-169. North-Holland, Amsterdam, 1984. 149. Z. Zlatev and J. Brandt: "Solving large and stiff ODE systems arising in large air pollution models". In: "Differential Equations and Applications" (S. Bilchev and S. Tersian, eds. ), pp. 152-172. Union of Bulgarian Mathematicians - Section Rouse, Rouse, 1995. 150. Z. Zlatev and J. Brandt: “Testing Variational Data Assimilation Modules”. In: “Large_Scale Scientific Computing” (I. Lirkov, S. Margenov and J. Wasniewski, eds. ), pp. 395-402. Springer-Verlag, Berlin, 2006. 151. Z. Zlatev, J. Brandt, P. Builtjes, G. Carmichael, I. Dimov, J. Dongarra, H. van Dop, K. Georgiev, H. Hass and R. San Jose: "Conclusions of the NATO ARW on Large Scale Computations in Air Pollution Modelling". In: "Large Scale Computations in Air Pollution Modelling" (Z. Zlatev, J. Brandt, P. Builtjes, G. Carmichael, I. Dimov, J. Dongarra, H. van Dop, K. Georgiev, H. Hass and R. San Jose, eds. ), pp. 381-384. Kluwer Academic Publishers, Dordrecht-Boston-London, 1999. 152. Z. Zlatev, J. Brandt, A. Eliassen and Ø. Hov: "Comparison of results obtained by a large-scale Eulerian model with measurements". In: "EMEP Workshop on the Accuracy of Measurements (November 1993, Passau, Germany)" (T. Berg and J. Schaug, eds. ), pp. 291-314. Norwegian Institute for Air Research, P. O. 100, N-2007 Kjeller, Norway, 1994. 153. Z. Zlatev and J. Christensen: "Studying the sulphur and nitrogen pollution over Europe". In: "Air Pollution Modeling and Its Application VII" (H. van Dop, ed. ), pp. 351-360. Plenum Press, New York, 1989. 154. Z. Zlatev, I. Dimov, I. Faragó, K. Georgiev and Á. Havasi: "Stability properties of repeated Richardson extrapolation applied together with some implicit Runge-Kutta methods”, in “Finite Difference Methods: Theory and Applications”, Seventh International Conference, FDM:T&A 2018 Lozenetz, Bulgaria, June 11-26, 2018, Ivan Dimov, István Faragó and Lubin Vulkov (eds), Lecture Notes in Computer Science, Vol. 11386, pp, 112-123, Springer, Berlin, 2018. 155. Z. Zlatev, I. Dimov, I. Faragó, K. Georgiev and Á. Havasi: "Absolute stability and implementation of the two-times repeated Richardson extrapolation together with explicit Runge-Kutta methods”, in “Finite Difference Methods: Theory and Applications”, Seventh International Conference, FDM:T&A 2018 Lozenetz, Bulgaria, June 11-26, 2018, Ivan Dimov, István Faragó and Lubin Vulkov (eds), Lecture Notes in Computer Science, Vol. 11386, pp, 659-666, Springer, Berlin, 2018. 156. Z. Zlatev, I. Dimov, I. Faragó, K. Georgiev, Á. Havasi and Tz. Ostromsky: "Richardson extrapolated numerical methods for treatment of one-dimensional advection equations". In: “Numerical Methods and Applications” (I. Dimov, S. Dimova and N. Kolkovska, eds. ), pp. 198-206. Lecture Notes in Computer Science 6046, Spinger-Verlag, Berlin, 2011. 157. Z. Zlatev, I. Dimov, I. Faragó, K. Georgiev, Á. Havasi and Tz. Ostromsky: "Application of Richardson Extrapolation with the Crank-Nicolson scheme for multi-dimensional advection", in “Conference Applications of Mathematics 2013” in honor of Kerel Segeth (Jan Brandts, Sergey Korotov, Michal Křížek, Jakub Šístek and Tomáš Vejchodský, eds), pp. 248-256, Institute of Mathematics AS CR, Prague, 2013. 158. Z. Zlatev, I. Dimov and K. Georgiev: "Optimizing large air pollution models on high speed computers". In: "Proceedings of the International Conference on Numerical Methods and Applications, Sofia 1994" (I. Dimov, B. Sendov and P. Vassilevski, eds. ), pp. 309-320. World Scientific Publishers, Singapore-New Jersey-London, 1994. 159. Z. Zlatev, I. Dimov and K. Georgiev: "Experiments with three dimensional version of the Danish Eulerian Model". In: "Lecture Notes on Biomathematics and Bioinformatics" (M. Gandev, ed. ), pp. 76-83. DATECS, Sofia, 1995. 160. Z. Zlatev, I. Dimov, K. Georgiev and R. Blaheta: “Using Advanced Mathematical Tools in Complex Studies Related to Climate Changes and High Pollution Levels”, International Conference on Large-Scale Scientific Computing, LSSC 2017: Large-Scale Scientific Computing, Lecture Notes in Computer Science, Springer, Berlin, Vol.10665 (2017), pp 552-559. 161. Z. Zlatev, A. Ebel, I. Farago and K. Georgiev: “Major conclusions from the discussions”, In: “Advances in Air Pollution Modeling for Environmental Security”, (I. Faragó, Á. Havasi, K. Georgiev, eds. ), pp. 395-399, NATO Science Series, 54, Springer, Berlin, 2005. 162. Z. Zlatev, A. Ebel and K. Georgiev: "Environmental modelling for security: Future needs and development of computer networking, numerics and algorithms". In: "Air, water and soil quality modelling for risk and impact assessment" (A. Ebel and T. Datashvili, eds. ), pp. 351-356. NATO Science for Peace and Security Series: C. Environmental Security, Spinger-Verlag, Berlin, 2007. 163. Z. Zlatev, I. Faragó and Á. Havasi: "On some stability properties of the Richardson Extrapolation applied together with the -method ". In: “Large_Scale Scientific Computing” (I. Lirkov, S. Margenov and J. Wasniewski, eds. ), pp. 54-66. Lecture Notes in Computer Science 5910, Spinger-Verlag, Berlin, 2010. 164. Z. Zlatev, I. Faragó and Á. Havasi: "Impact of Climatic Changes on Pollution Levels", in “Mathematical Problems in Meteorological Modelling, Vol. 24 (2016) of the series Mathematics in Industry, pp. 129-161, Springer Verlag, Berlin. 165. Z. Zlatev, I. Dimov, I. Faragó, K. Georgiev, Á. Havasi and Tz. Ostromsky: "Richardson extrapolated numerical methods for treatment of one-dimensional advection equations". In: “Numerical Methods and Applications” (I. Dimov, S. Dimova and N. Kolkovska, eds. ), pp. 198-206. Lecture Notes in Computer Science 6046, Spinger-Verlag, Berlin, 2011. 166. Z. Zlatev, G. Geernaert and H. Skov: "Exceeded ozone critical levels". In: "Proceedings from the EUROTRAC-2 Symposium 2000" (P. M. Midgley, M. Reuther and M. Williams, eds. ), pp. 929-934. Springer-Verlag, Berlin, 2001. 167. Z. Zlatev and K. Georgiev: “Trearment of large scientific problems: An introduction”. In: “Applied Parallel Computing: State of the Art in Scientific Computing” (J. Dongarra, K. Madsen and J. Wasniewski, eds. ), pp. 828-830. Springer-Verlag, Berlin, 2006. 168. Z. Zlatev and D. Syrakov: ”Studying high ozone levels in Bulgaria and Europe”. In: "Large Scale Scientific Computations IV". (I. Lirkov, S. Margenov, P. Yalamov and J. Wasniewski, eds. ), pp. 337-344. Springer-Verlag, Berlin, 2004. 169. Z. Zlatev and D. Syrakov: “Studying Pollution Levels in Bulgaria by Using a Fine Resolution Dispersion Model”. In: “Air Pollution Modeling and Its Application XVI “ (C. Borrego and S. Incecik, eds. ), pp. 245-252, NATO Challenges of Modern Society Series. Kluwer Academic/Plenum Publishers, Dordrecht, 2004. 170. Z. Zlatev and P. G. Thomsen: "An automatic differential equations solver based on linear multistep methods". In: “Working Papers for the 1979 Signum Meeting on Numerical Ordinary Differential Equations" (R. D. Skeel, ed. ), Department of Computer Science, University of Illinois at Urbana-Champaign, Urbana, Illinois, 1979. 171. Z. Zlatev and P. G. Thomsen: "Differential integrators based on linear multistep methods". In: "Methodes Numerique dans les Sciences de l'Ingenieur" (E. Absi, R. Glowinski, P. Lascaux and H. Veysseyre, eds. ), DUNOD, Paris, 1980. 172. Z. Zlatev and P. G. Thomsen: "Sparse matrices - efficient decomposition and applications". In: "Sparse Matrices and Their Uses" (I. S. Duff, ed. ), pp. 367-375. Academic Press, London-New York, 1981. 173. Z. Zlatev and J. Wasniewski: "Package PARASPAR for the solution of large linear algebraic systems with general sparse matrices". In: "Second Workshop on Parallel Numerical Analysis, Edinburgh, 1992" (K. I. M. McKinnon and F. Plab, eds. ), pp. 29-54. Edinburgh Parallel Computing Centre, University of Edinburgh, Scotland, 1993. 174. Z. Zlatev and J. Wasniewski: "Large scale air pollution modelling". In: "Second Workshop on Parallel Numerical Analysis, Edinburgh, 1992" (K. I. M. McKinnon and F. Plab, eds. ), pp. 55-72. Edinburgh Parallel Computing Centre, University of Edinburgh, Scotland, 1993. 175. Z. Zlatev and J. Wasniewski: "Optimizing air pollution models on parallel machines". In: "Parallel Computation" (B. Ford and M. A. Fincham, eds. ), pp. 115-133. Oxford University Press, London, 1993. 176. Z. Zlatev and J. Wasniewski: "Large scale computations in air pollution modelling". In: "Advances in Parallel Algorithms" (I. Dimov and O. Tonev, eds. ), pp. 66-82. IOS Press, Amsterdam-Oxford-Washington-Tokyo, 1994. 177. Z. Zlatev and J. Wasniewski: "PARASPAR: Parallel solvers for sparse linear algebraic systems". In: "Parallel Scientific Computing" (J. Dongarra and J. Wasniewski, eds. ), pp. 296-303. Springer-Verlag, Berlin, 1994. 178. Z. Zlatev and J. Wasniewski: "Parallel algorithms for large atmospheric models". In: "Applied Parallel Computing" (J. Dongarra, K. Madsen and J. Wasniewski, eds. ), pp. 550-560. Springer-Verlag, Berlin, 1996. 1. Z. Zlatev: “Langtransport af kvælstofoxider, kritiske niveauet og kontrolstrategier”. In: “Proceedings fra DCAR’s årsmøde om “Kritical Load for Kvælstof”, København, 11. november 1992” (Redideret af Claus Beier og Jes Fenger), pp. 22-25. Newsletter No. 5, DCAR (Danish Centre for Atmospheric Research), Copenhagen, 1993. 2. Z. Zlatev og J. Christensen: “Luftforurening over landegrænserne”. Forskning & Samfund, Vol. 17, No. 8 (1991), 29-31.